There are few treats as enjoyable as Afternoon Tea on a Sunday. That’s just what my friends and I decided to spoil ourselves with this past weekend. We’ve been to a few places in Cape Town (Myatt Cafe, Vineyard Hotel, Table Bay Hotel, Cape Grace Hotel, The One and Only – ha! 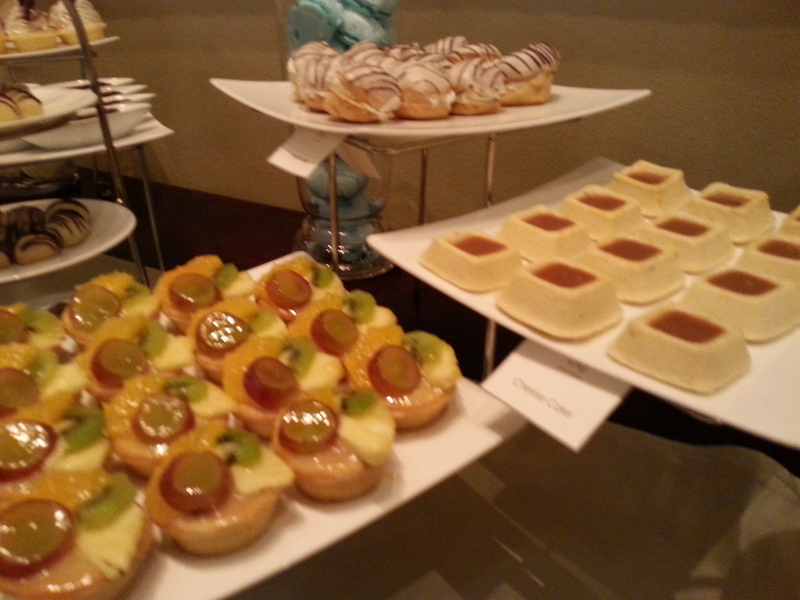 it’s mainly hotels) that offer this particular sweet indulgence, but this would be our first time at the Taj Hotel. We were immediately blown away by the selection of sweets available. Of course, following a halaal diet means that we wouldn’t be able to eat treats containing alcohol and gelatine. When we raised this issue with the waitress, she called on the pastry chef, who came out herself to point out the two things on the expansive buffet that we couldn’t eat. Great service. We were like kids in a very fancy, grown-up candy store and we didn’t quite know where to start. 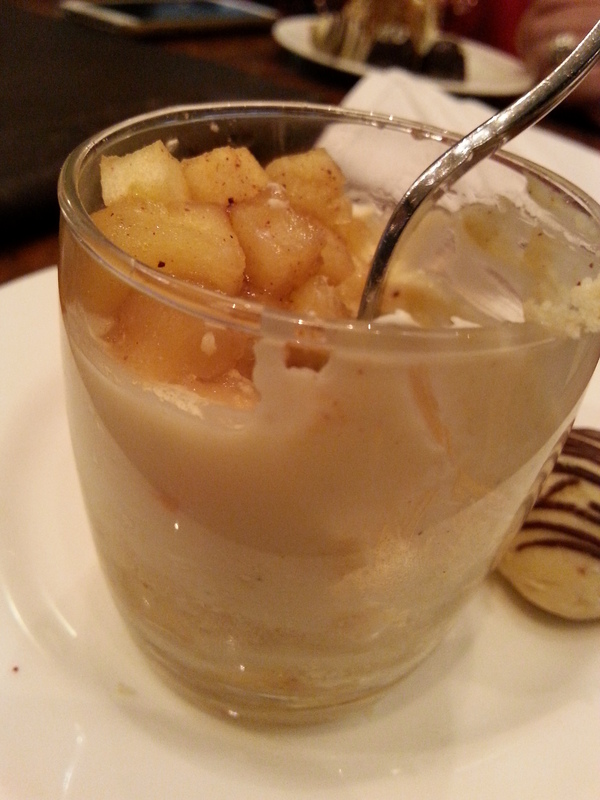 The apple crumble dessert took me to heaven, as did the baked yoghurt with raspberry sauce. It’s my mission now to try to replicate both these desserts in my kitchen. 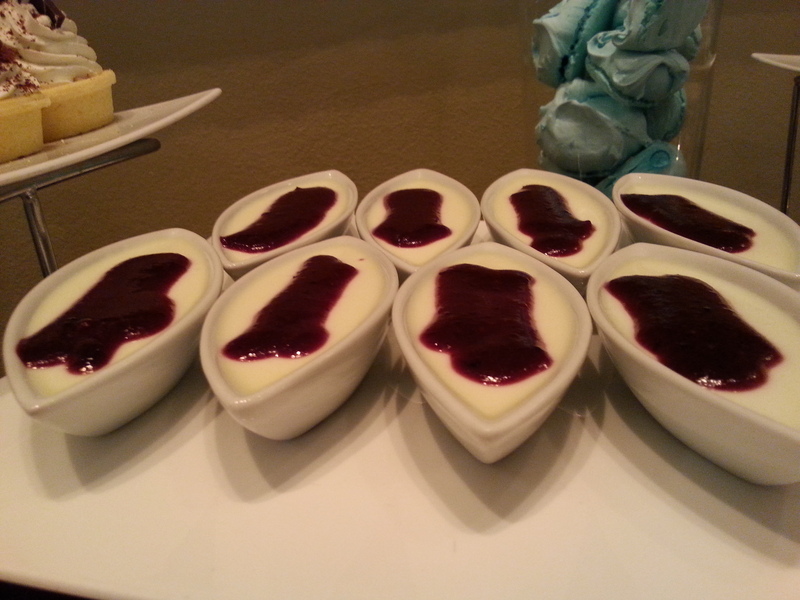 Baked yoghurt with raspberry sauce. Oh my heaven. 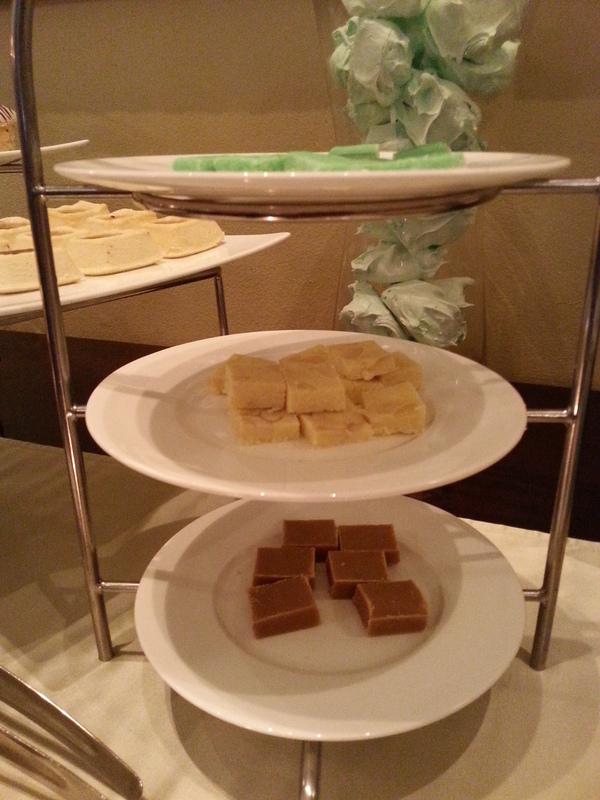 The petit fours consisted of blocks of fudge, coconut ice and burfee (an Indian sweet meat) and they were melt-in-the-mouth yummy. The only sweet I wasn’t impressed with was the fruit tart. 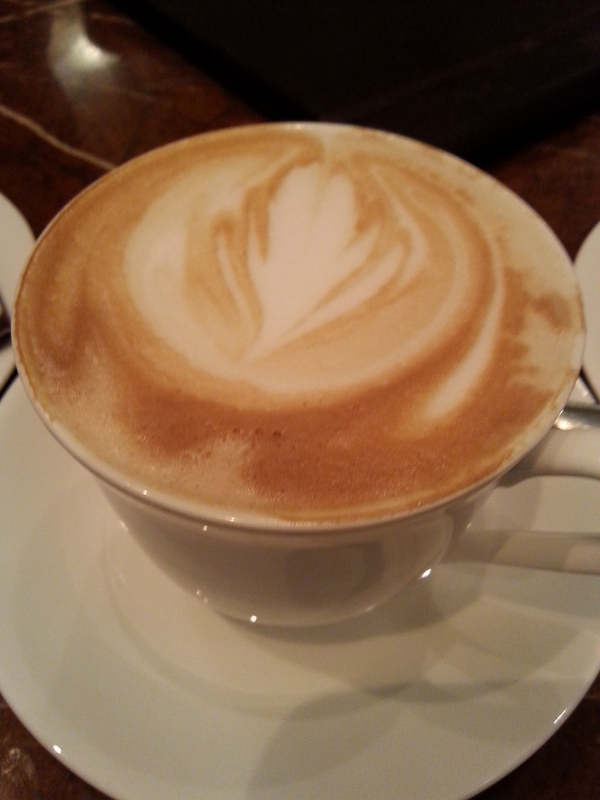 I much prefer the filling of the one at Myatt Cafe. 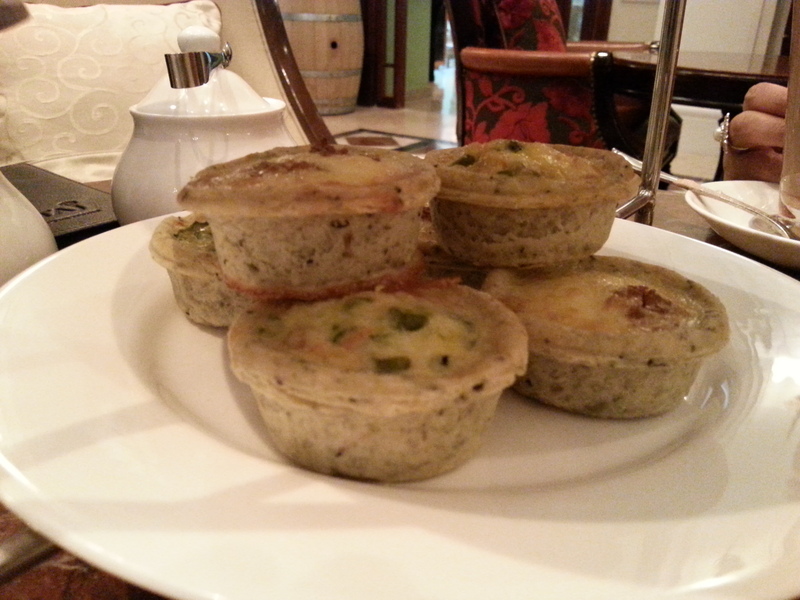 Of course, afternoon tea is not complete without a savoury component to add some balance to all the sugary offerings. Our waitress told us that the savouries were freshly prepared when we sat down. Great, I thought. No dried out sandwiches here. 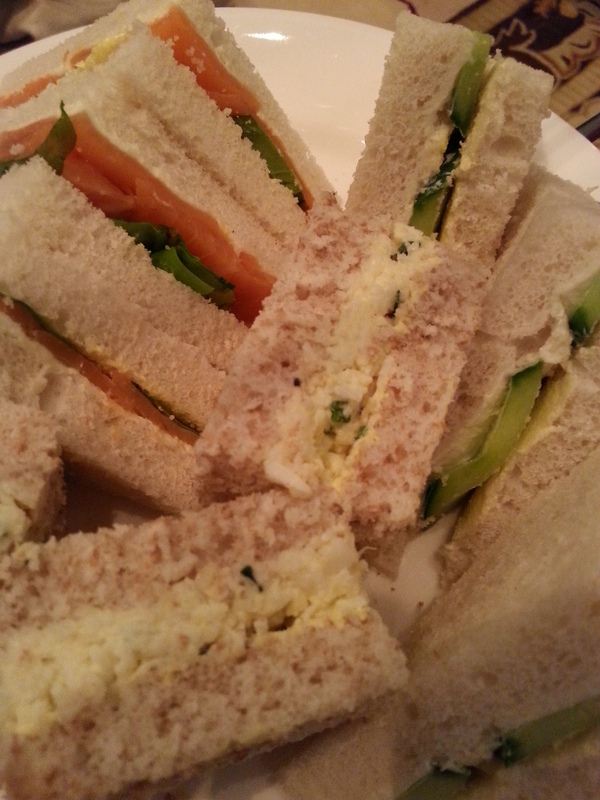 The savoury offering was fairly standard – salmon, egg and cucumber sandwiches, mini pasties and mini quiches. The cucumbers were sliced slightly too thickly for my liking. I prefer them to be thinly shaved for afternoon tea sandwiches. 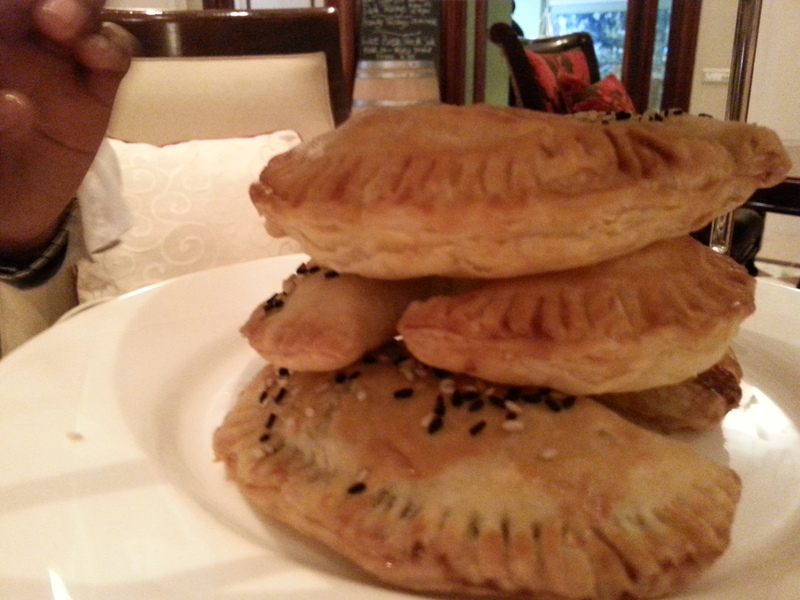 The pasties were served in a beautifully light, crisp pastry. I opted for the spinach (delicious) while my friends had the chicken (which they say was “vrek lekker” and “very nice”). I wasn’t too fond of the quiche. It needed some seasoning, I think. You can drink as many teas and coffees as you want during the session. 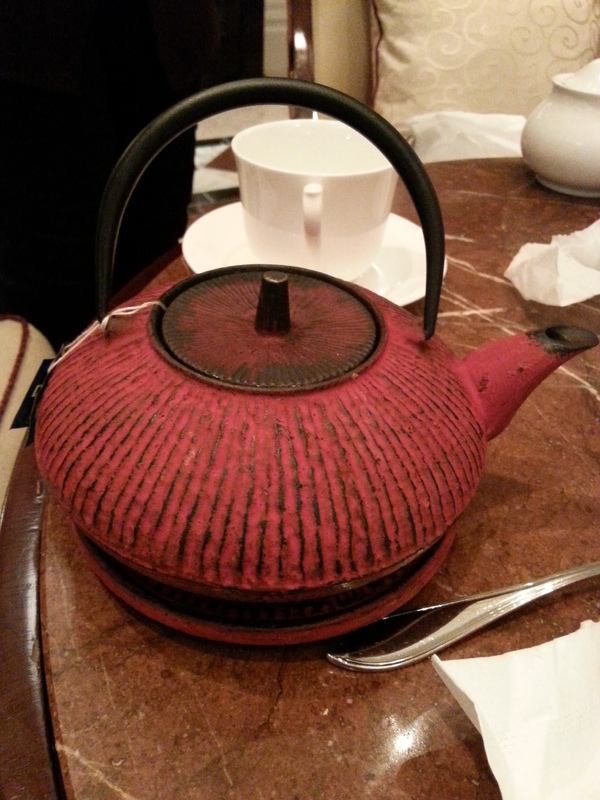 The teas are served in amazing cast iron kettles. Don’t you just love this cast iron tea kettle? Is it value for money? It’s R195 so it is a bit expensive but it’s a treat we indulge in once or twice a year and the service and quality of the food made it worth it. Overall, the service is friendly and welcoming, the cakes and desserts are out-of-this-world amazing and the savouries are so-so. Will we go back? Definitely. 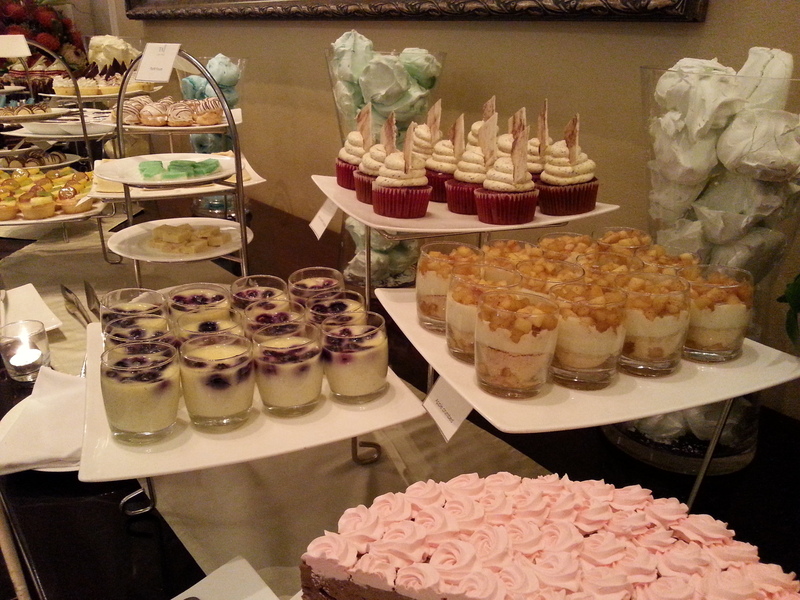 For once, a place offering a sweet buffet instead of savory refills – my kind of place! 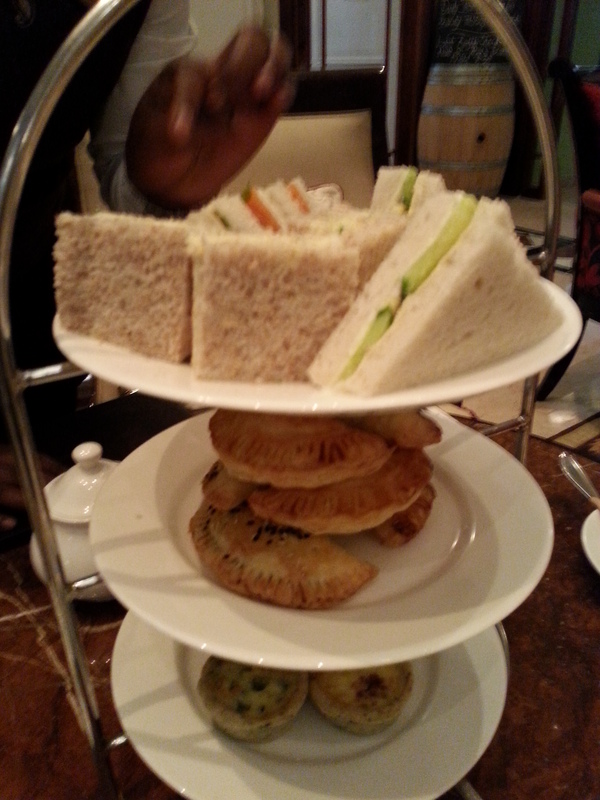 We look forward to having you back at the Taj for some more treats. I would suggest booking for a Saturday or Sunday, as we now have an extensive spread of savouries for the weekend tea buffet too.